Remember just last year, Georgia had a dynamic duo in their backfield both on the verge of NFL stardom. Many dynasty owners were swaying back and forth between Nick Chubb and Sony Michel. Both dominated at the college level despite having entirely different skillsets. Ultimately the Patriots drafted Sony Michel in the first round, while the Browns drafted Nick Chubb in the 2nd round. There are copious striking similarities between the Chubb/Michel situation, and that of the Alabama backfield. The Crimson Tide employ a committee between Damien Harris, Josh Jacobs, and Najee Harris; with Damien Harris and Josh Jacobs vying for selection in the 2019 draft. Just as Nick Chubb was the lead back in Georgia, with Michel in a support role, Harris occupies the lead back role in ‘Bama, with Jacobs in a support role. Having said that, many analysts preferred Michel to Chubb, and in a similar fashion, many analysts prefer Jacobs to Harris. It’s very difficult to pick between the two prospects. Both RBs appear to be at the head of the class for the RB position, along with David Montgomery. I like Harris’ balance and run vision (as seen on this clip). Jacobs on the other hand has the athleticism that blows you away. Currently I would have Jacobs slightly ahead. Usually we classify RBs as power backs or explosive change of pace backs. 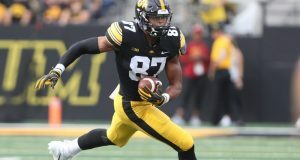 Jacobs is the rare combination of both in my opinion, with the additional bonus of being able to catch the ball. 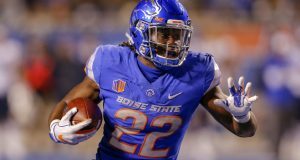 I think Jacobs will destroy the combine and he reminds me a lot of Alvin Kamara. He’s one of those guys that runs angry, kind of like Derrius Guice. 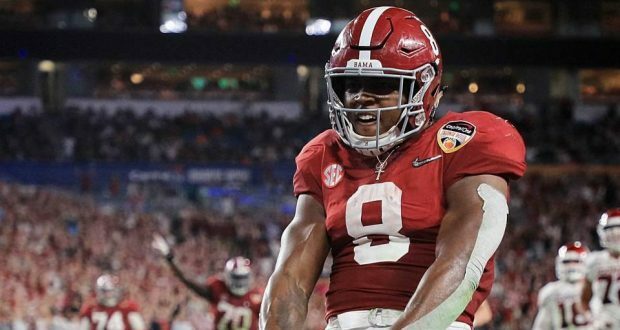 In a WR/TE heavy class, The Roll Tide Twosome have the chance to be a couple of the RBs that peak dynasty owners’ interest in the 1st round of rookie drafts. The NFL draft could be very telling in how teams perceive their talent, and thus their rookie value. Next: Opposing views: Is Allen Robinson a top 15 dynasty WR?